Bed Sweet Buys: A Body Pillow? Why? Aren't Normal Pillows Adequate? A Body Pillow? Why? Aren't Normal Pillows Adequate? Pillows are everywhere. They're on the bed, on the floor, on the couch, chairs – everywhere. So why would you want another one, and bigger at that? be a welcome solution to rearranging the old pillows as you move. This can be especially welcome if you have had surgery or other back ailments where excess movement can be painful and each time your position changes, the pillows slip out from the desired spot. Take back surgery for instance. Your doctor tells you to place a pillow between your legs to avoid problems. More than likely you would need at least 2 of the regular pillows. Not so with a body pillow. It will stay in place all the way down. You can use a body pillow by placing it in front of you and wrapping your leg over it. You could hug it or just lay your hand or arm over it. Or you could use it for back support to lean against. They come in various sizes and shapes. The 20X54 inch is the most popular size. But we have one for people 5' 10” and taller that measures 20X60 inches. Both of these are the long straight pillows. Another kind of body pillow is the u-shaped oversized total body pillow that gives full support to the front and back side while sleeping on your side as well as support for the head. It measures a whopping 19X130 inches. 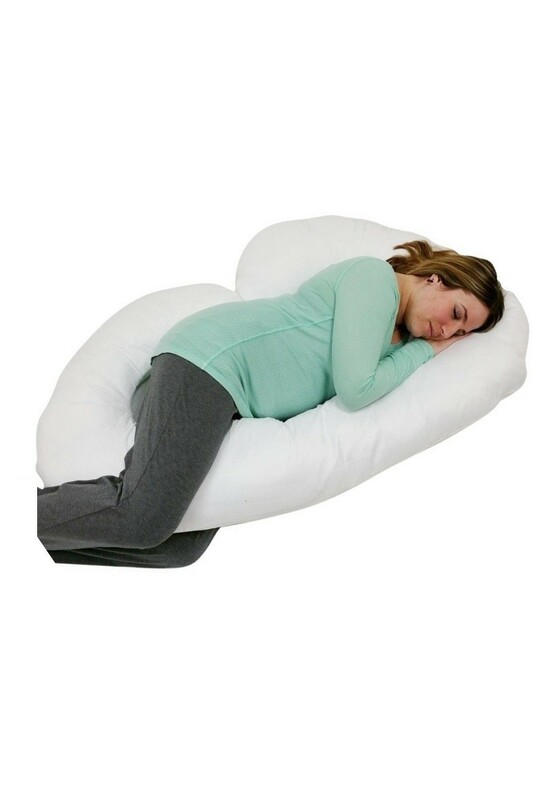 A different option that expectant mothers especially like is the j-shaped pillow that supports the head and back and yet wraps around to give additional support for the tummy area. What we want most when we lay down to sleep is to be comfortable all night long, getting the highest quality sleep, whether we have back issues, are pregnant or just want the most comfort.